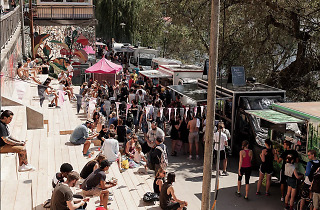 Stockholm food hounds delight in hitting Hornstull’s waterfront on weekends between April and October, when it’s chock-a-block with independent vendors dishing up worldly gastronomic goodies from colourful trucks emblazoned with modish logos. The roster changes from week-to-week, but recent seasons have served up vibrant vegetarian curries, gourmet American-style sliders and punchy Burritos. 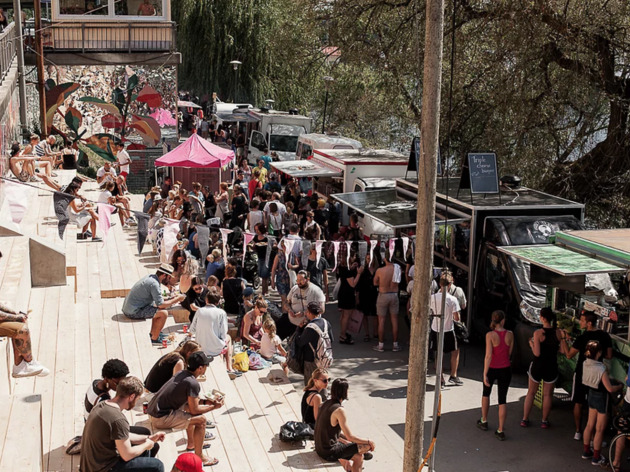 Tuck into your food on the large wooden seating platforms overlooking the water. Once your cravings have been satisfied, explore the rest of the bunting-strung market, which is a quaint mash-up of vintage clothes, knickknacks and vinyl, alongside contemporary arts and crafts produced by local designers.